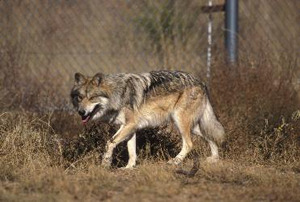 Thousands weigh in on wolf recovery plan ... Just hours before the Tuesday night deadline approached for the public to weigh in on a proposed federal management plan for the endangered Mexican gray wolf, more than 9,000 comments had been posted online. Thousands more had been submitted to U.S. Fish and Wildlife Service by mail  most opposing a wolf recovery plan that many criticized as too restrictive to allow the species to thrive. New Mexico Wilderness Alliance in 2013. Five ways you are subdizing meat production. How wolves can altger the course of rivers. Wolves were once native to the US' Yellowstone National Park -- until hunting wiped them out. But when, in 1995, the wolves began to come back (thanks to an aggressive management program), something interesting happened: the rest of the park began to find a new, more healthful balance. Socorro County Commission voted unanimously to ban release in the county. This decision has no legal standing. Wolf release is a federal issue. . The Socorro county commission has already adopted an anti-wolf fear based resolution (download here) and is now considering adopting an anti-wolf county ordinance (download here) The Center for Biological Diversity will give a presentation Thursday, Nov. 5 about Mexican wolves, their importance to wild places and how the mountains of Socorro county fit in to saving them. Please join Michael Robinson from the Center and to learn more about wolves, new rules for their management that were adopted in 2015 and the proposed county ordinance. Please bring and tell a friend! PS. Also mark your calendar for the County Commission meeting on Tuesday, November 10 at 10 AM at the County annex building at 198 Neel St in Socorro. Commissioners will be voting on the anti-wolf ordinance and each member of the public will be allowed 2 minutes of testimony. Let's show the Socorro county commission that wolves have friends here! November 10th - County Commission meeting at 10AM County annex building at 198 Neel St in Socorro. Commissioners will be voting on the anti-wolf ordinance and each member of the public will be allowed 2 minutes of testimony. Let's show the Socorro county commission that wolves have friends here!